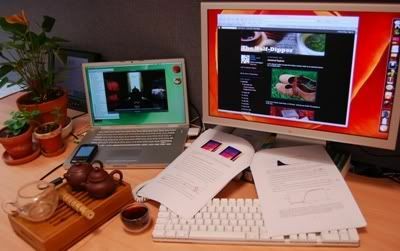 When I first started drinking pu'er, I was very excited about it (and still am), and used to drink it in the evening because of my daily schedule. After a few months, I experimented with not drinking pu'er in the evening, and found that my quality of sleep increased dramatically. 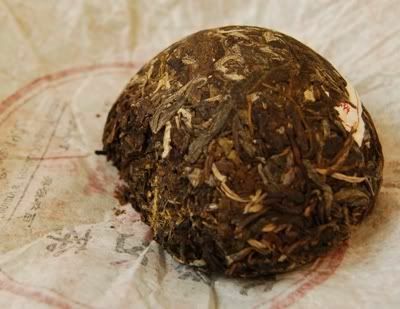 I wasn't sleeping so well after pu'er, whether shengpu or shupu. 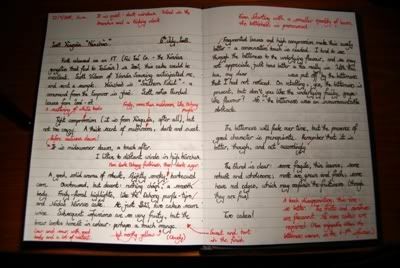 Since then, I've been managing my "drinking habits" with more care, and present them here for your consideration. 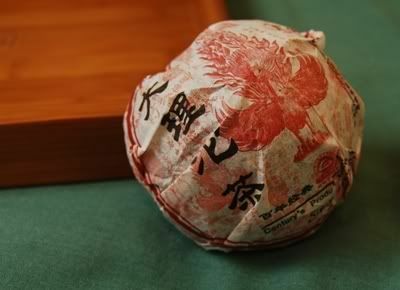 Typically, I enjoy a session of shengpu after a light breakfast. Drinking anything on an empty stomach is usually unwise, particularly "cold" substances. My wife heats absolutely everything she drinks, being a product of Ancient Chinese Wisdom(tm) . Due to my time constraints, this breakfast session is usually restricted to 4 or 5 quick infusions. Caffeine output from tea has been shown to follow a negative-exponential curve with increasing number of infusions, so I'm getting the majority of my caffeine right here, at breakfast time. 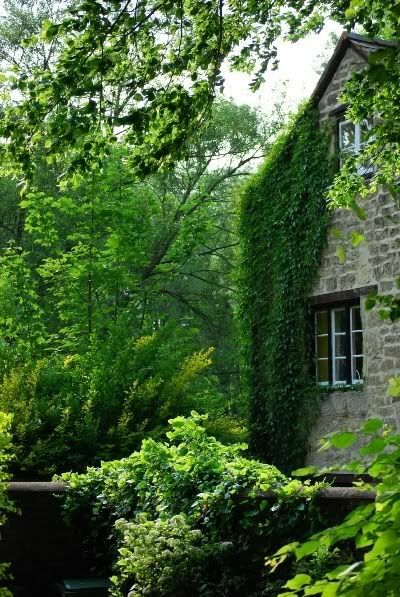 Ready for my day, I pop the wet leaves into an airtight container, and head to my office. It's a pretty route to work, and I consider myself lucky in that regard. The journey to and from my office gives me time to forget my research for a while, which is very beneficial. I like to leave it all behind, if just for a little while. Reaching the office, the wet leaves are transferred into another pot (just a cheap one, in case of damage). I drink this tea for the remainder of the day, infusing it over and over again. After lunch, I need something, but don't want a fresh infusion of caffeine. While keeping the pu'er leaves in one pot, I use a second pot (which you can see above) for something more neutral - typically (unflavoured) rooibos, which I find malty and tasty, or "wheat tea". Some tea-drinkers of greater experience than me have recommended drinking wheat infusions for settling a stomach. I find it particularly suits my taste, and my wife is very kind, and roasts a whole batch for me for a few minutes in a clean wok. 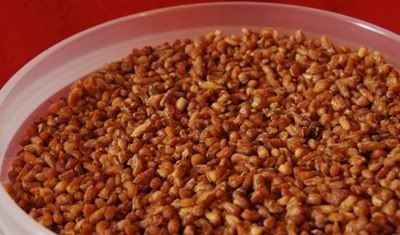 This is buckwheat, I think. The net result is that the majority of my caffeine is taken early in the day, though I drink the leaves all day in brews of ever-increasing infusion time. 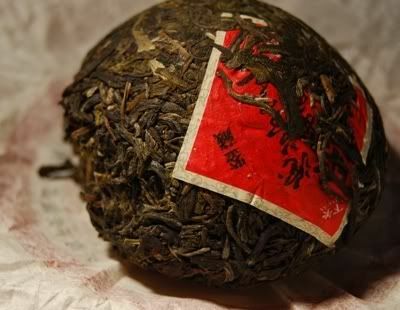 While the pu'er pot infuses for long minutes, the other pot can produce little shots of something else. It works for me, and my sleep is deep - certainly deeper than when I take tea in the afternoon or evening. I'm very interested to hear your own experiences of caffeine and its perceived effect on the quality of your sleep. Hongloumeng [lit. "Red Mansion Dream", usually "Dream of the Red Chamber"] is one of the world's books that you must read, no questions asked. It's one of the world's classics, typically selected alongside the likes of Shakespeare, Dante, or Watterson* as being the peak of their nation's literary prowess. 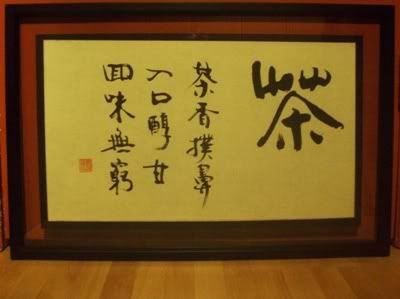 Indeed, the Chinese say that no intelligent conversation can take place without reference to Hongloumeng. It's big news. And this is a Xiaguan tuocha named after it. I'm of the opinion that it is rather offensive to name what is (in all likelihood) a fairly standard tea after such a beautiful, graceful piece of human endeavour. In order for this tea to be worthy of the association, it would have to liquify my brains and cause me to rethink my approach to pu'er. 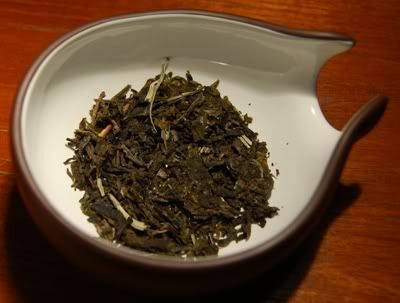 Given that this tea costs about $5 from Yunnan Sourcing or Dragon Teahouse, we have some strong prior suspicions that this tea might not live up to its billing. 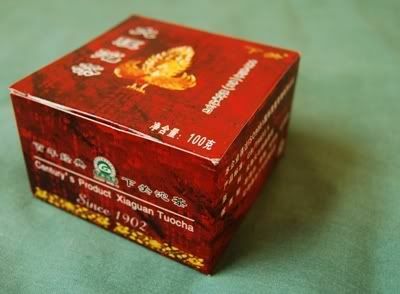 The (tenuous) link between this tea and Hongloumeng is that one of the characters drinks pu'ercha as a remedy for drinking too much alcohol. This is mentioned just once in 120 chapters. Despite the claims of the Dragon Teahouse description, this is "Big G" Xiaguan brand, and not "FT". However, the leaves are of good quality and there is a goodly number of tips mixed into the blend, appearing throughout the cake. Compression is, unsurprisingly, a bit on the tight side. Unwrapping the tuocha reveals a potent leather-and-tobacco aroma. 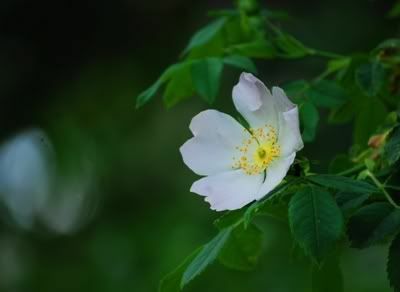 It is sweeter than its stablemate, the 2008 Xiaguan "Dali" tuocha, but just as provocative in its scent. First impressions are good! Though the leaves are fragmented, they are not the ground-down mulch that fills the rank-and-file of Xiaguan's annual tuocha productions. This is an early-morning session. I lift my wife out of bed, duvet and all, and deposit her on a sofa in the lounge, still wrapped in bedding. I put the theme music to the famous Chinese TV series of "Hongloumeng" onto the CD player. Offering her a book and a cup from the first infusion, she remarks: "This tea tastes great, because it is named after Hongloumeng." It's yellow, honest, straight-forward, and decent. Given that the entire tuocha cost as much as a single pint of beer, I don't want to over-analyse the tea. 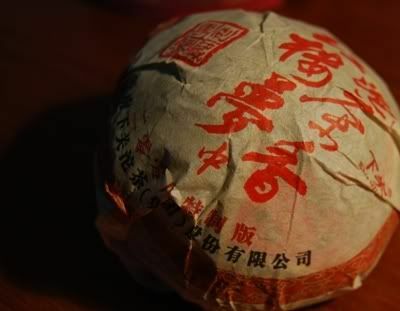 Its character is mushrooms, with a very decent texture, being satisfyingly thick. 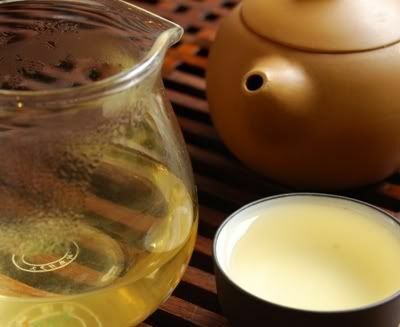 Surprisingly, it also shows signs of the cooling nature, felt on the tongue and lips, that characterises good tea. 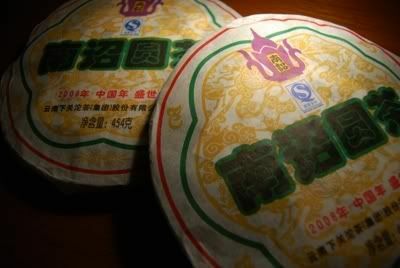 The Yunnan Sourcing description notes that a fraction of old-tree leaves have been included in the blend, and that might just be the case. Some bitterness exists, but I was very cautious with leaf quantity and infusion times, and managed to avoid the inevitable. It has a sour body, a sweet finish, and a yunxiang [after aroma] of mushrooms and straw. Refreshing and inexpensive, this even turned out to be thick-textured during an entire morning of extended brewing in my office. That sort of longevity is remarkable in a little tea such as this. $5, so you know what you're getting, but not really worth wasting valuable shelf-space to pursue. 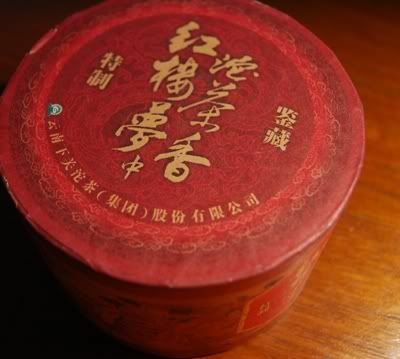 Given their expensive tastes for all things refined, I can't imagine the Jia clan sitting down to a Xiaguan "Hongloumeng" tuocha, but it's better than naming your tea after a bank. * The author of Calvin and Hobbes. Following up the recent article on the 2008 Xiaguan "Dayi", here's one of the Feitai (FT) offerings for this year, under the "Nanzhao" [southern edict] brand. The last time that I drank this tea, flowers were blooming, which have since long gone. 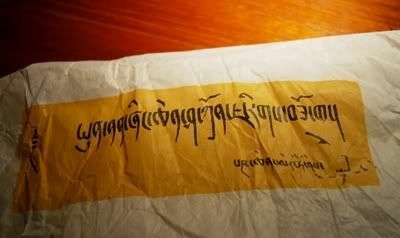 ...including some interesting text on the back of the wrapper which looks like Tibetan. I defer to Tibetan experts (cough Nada cough) on this one. 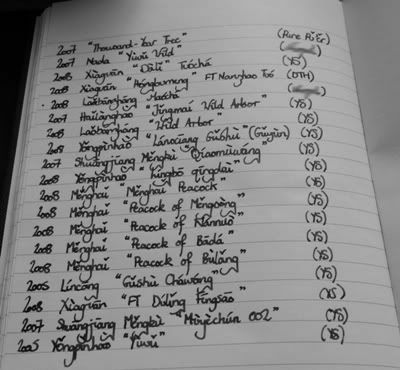 It's nice to see recognition of the fact that there used to be a non-Han culture in Tibet, some time ago. Well played, Xiaguan. The bing is tight, pressed using hydraulics. 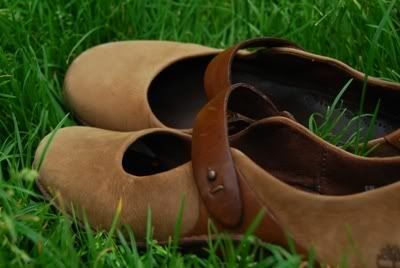 The thickness is approximately 1cm at its thickest point, giving you an idea of the compression. Tell-tale razor sharp edges further testify to the "tiebing" [iron cake] status of this tea. Not shown here, the dimple in the rear face of the cake contains the Nanzhao logo. 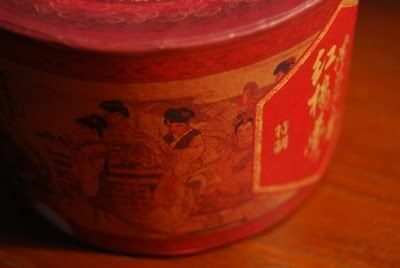 Unusually, the makers have seen fit to scatter a number of white tips into the mold before adding the maocha - they look a little stranded and superficial, and exist nowhere else in the cake. Opening the cake reveals an instantly obvious aroma of purple-leaf fruitiness, with a touch of smokiness underneath. This sets the scene for the remainder of the session. Xiaguan tightness means careful work with the pu'er knife. Gradual lifting and prying eventually releases enough for a brew. I am deliberately conservative, remembering previous sessions of overwhelming bitterness. Slowly, eventually, I am beginning to learn that fragmented, tightly-compressed Xiaguan teas really do require restraint. 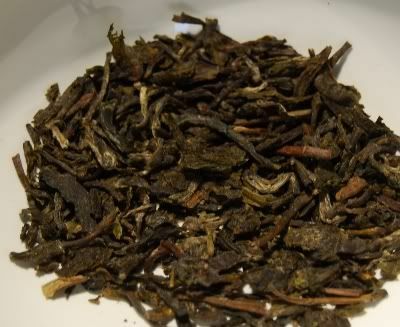 The original samples (pictured below) were kindly provided by Scott of Yunnan Sourcing, who seems to be able to pre-empt my selections rather well these days. This is at once reassuring and terrifying. The flavour itself carries on these twin themes of purple-leaf fruits and finishing sweetness throughout the session. 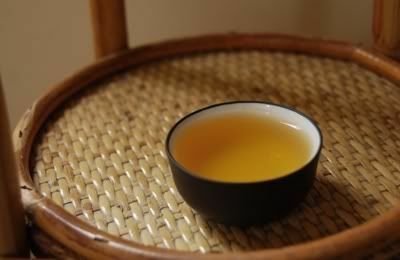 The body is thick and wholesome, while the chaqi is brightening, which pushes me into the morning with a shove. 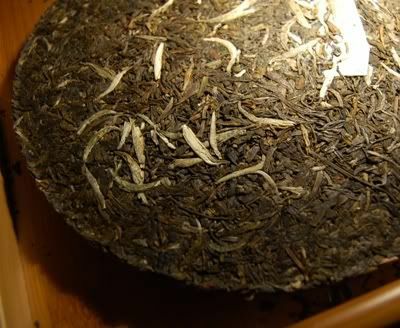 Like most fragmented-leaf Xiaguan, this tea can be excessively bitter and steps must be taken to avoid it. Between the 2nd and 5th infusions, particularly, the bitterness can really knock you for six. I look forward to seeing how these cakes turn out in a few years, once that edge has worn off, because what remains underneath is solid - there is definite content to this tea, which is what I'm after. Though unenthralled by this revisitation, primarily due to the bitterness of the tea, I did find it to be welcoming by the 5th infusion, when the characteristics of the actual leaf began to show through as the bitterness receded. Certainly, I won't be buying more of these cakes, but time could turn them into something interesting, as the potential is there. Caveat emptor. 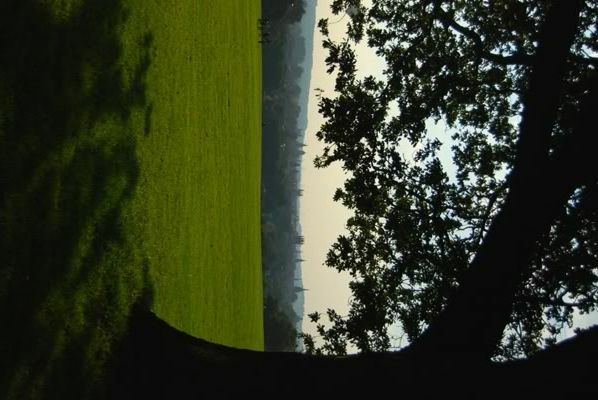 The city is turning from its summer-time aroma of grassy lucha to the autumnal richness of shupu. 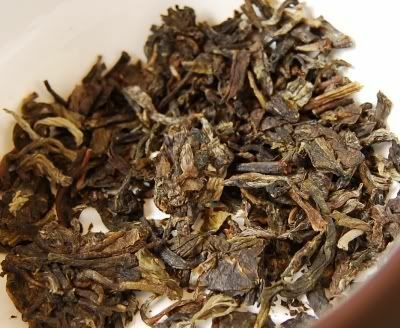 Today, I want to write about the "Dali" tuocha from Xiaguan, priced at a pittance from Yunnan Sourcing and Dragon Teahouse. Dali used to be a kingdom in Yunnan, before the Mongols squashed them [insert modern-day simile here]. If the inhabitants of Dali drank tea like this every day, they'd easily see off a good Mongol horde or two. Unwrapping the tuocha reveals a hugely potent aroma. With no exaggeration, the rich, tobacco-like scent from this tea filled the room just on unwrapping. It is surprisingly active, and this is a good sign of impending character. If there's anything I can't abide, it's a bland tea. Of course, this being Xiaguan, the leaves are fragmented anyway, and so a wee bit of extra leaf breakage doesn't make a great difference. 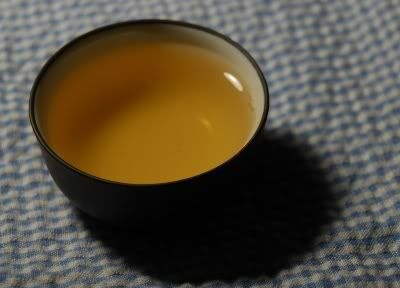 The blend is based on the old "Cang Er" recipe, which is seemingly retired. 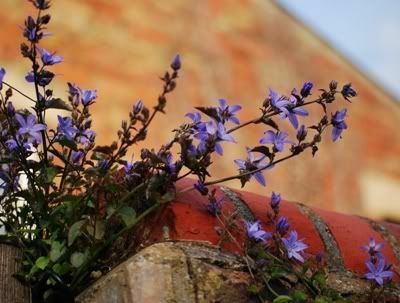 We have small leaves, but they are unoxidised (being their natural colour), and a goodly number of tips are included. 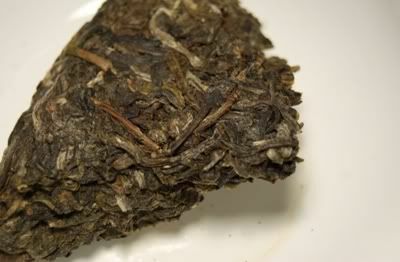 That rich, tobacco-like aroma from the dry leaves carries over into the wenxiangbei [aroma cup]. It brews a beautiful, deep yellow colour, with no evidence of cheeky processing. I like it when Xiaguan have the backbone to leave their tea alone, rather than cook it into mediocrity. 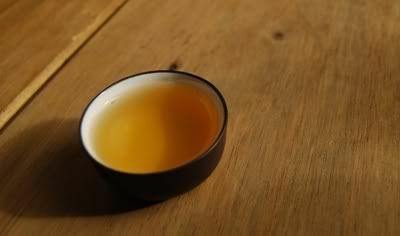 The first infusions are packed with real content: mushrooms, sweetness, ending in a pleasant floral yunxiang [after-aroma]. It is a chunky tea, having a thick body. For the tiny asking price, there is quite a bit happening in this little tea. 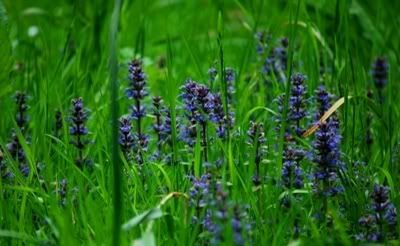 The complexity is quite short-lived, and by the fourth or fifth infusion, it has settled into a pleasant sweetness. It fades gracefully, rather than ending roughly, and that's A Good Thing. Xiaguan have reacted quite well to the post-investment bubble world of pu'er. This year, I have been particularly impressed by their Feitai (FT) range, and their new Nanzhao [southern edict] explorations. Outside of the premium brands, they have been a lot more sketchy, but this "Dali" tuocha is, for the tiny asking price, really good fun. 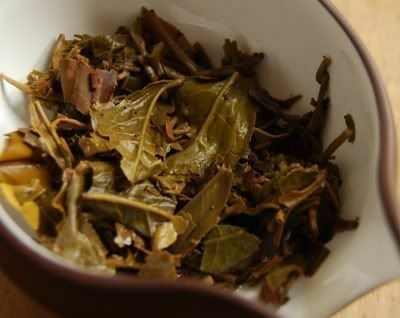 A word of warning: it is very easy to use too many leaves with this tea, perhaps moreso even than with the usual Xiaguan tight tuocha. Being conservative with the leaf quantity is something that I find incredibly difficult, but it pays dividends with this tea, which can otherwise be rather punishing. 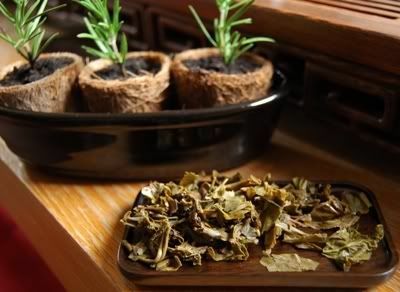 With a smaller amount of leaves, what complexity there is within these leaves can be successfully coaxed out, along with a soothing, almost narcotically slumber-inducing chaqi. 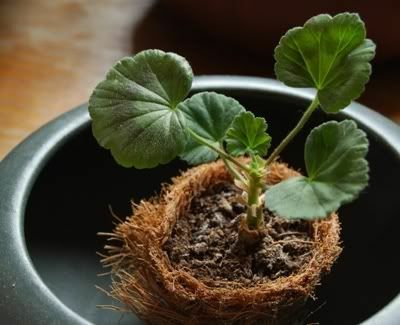 A fun, fine little tuocha - but don't expect it to change your world. If you, like me, are looking for a highly inexpensive, potent treat that has plenty of tobacco without the processing that usually accompanies it, this is a worthwhile tea. 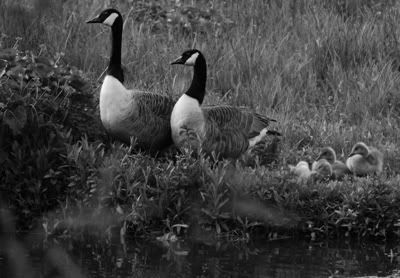 One of the above is a consolation first prize to the winner of our recent haiku competition. Those who know me well know that I'm a clumsy chap, and I successfully failed in sending the first prize to the first prize winner (RJ). 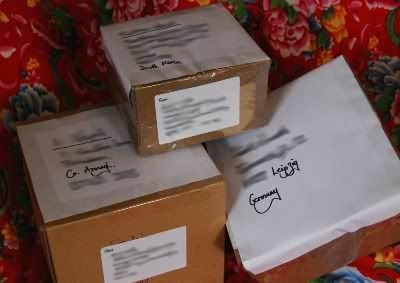 In fact, I sent it to the second prize winner (JC) by mistake. Thanks to the infinite tolerance of RJ, he's accepted some Douji pu'er as another first prize. In fact, it is none other than the 2006 Douji that I fought so hard for in Maliandao. Regular readers will know my love for this particular cake, so letting it out of my reach to dear RJ hopefully testifies to the depth of my regret! 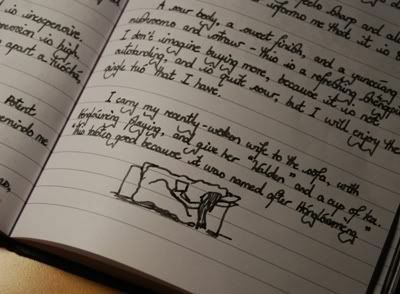 Though I have not had the luxury of sufficient time to transcribe tasting notes here, I have been scribbling merrily into my journals - older readers will remember that all of my notes start in the dingy depths of my journals before making it into electronic format. 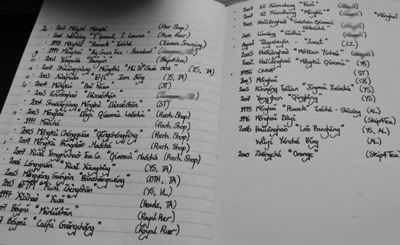 Something I've been meaning to do for some time is to reorganising the "Index of Tasting Notes" (see column to the left) by factory/brand, which makes a bit more sense. It's a wee bit easier to read.